Casanova di Neri's 2008 Tenuta Nuova is hitting its stride. 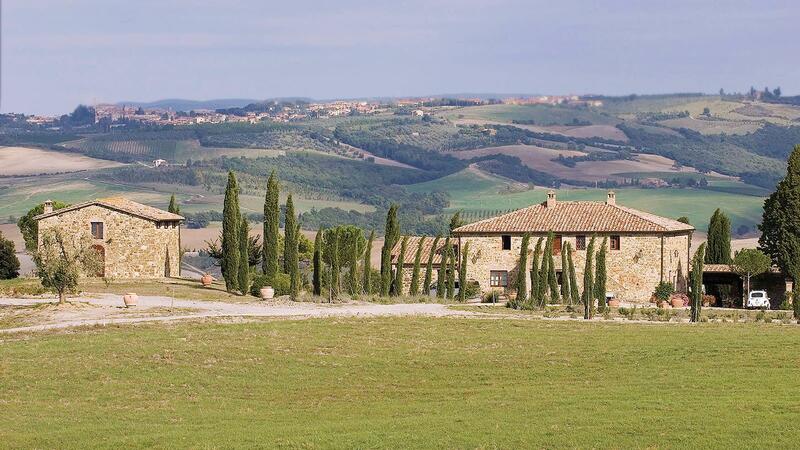 During Vinitaly, Italy's annual wine and spirits trade fair, I had the opportunity to sit down with 11 producers from Tuscany to revisit the 2008 Brunello di Montalcino vintage at age 10. I chose the wines based on my reviews of the new releases, beginning in 2013 for the normale bottlings, with additional riserva reviews in 2014 (the Fattoria dei Barbi Brunello di Montalcino Vigna del Fiore 2008 was only just officially reviewed for the first time in 2016). The 2008 growing season was marked by rain in March, April and the first half of May, then again in August. The cold, humid spring delayed the vegetative cycle, however the late-ripening Sangiovese caught up as temperatures soared during the summer. Isolated frost struck vineyards of Lisini and Siro Pacenti; Lisini winemaker Fabio Paoletti and Francesco Marone Cinzano, proprietor of Col D'Orcia also reported hail damage from an Aug. 14 storm. "The next day we began cleaning up the vines, cutting away damage," recalled Cinzano. "There was dry weather afterward, so no more damage, but we continued to clean up from the hail until harvest, more than 40 days," he added. Gianlorenzo Neri noted that there was a greater difference in ripening between the different zones in Montalcino in 2008, making the timing of the harvest important. It paid to wait until after an inch of rain fell Sept. 7. For Stefano Colombini at Fattoria dei Barbi, 2008 had perfect ripeness, a year without extreme heat resulting in well-balanced wines. "[The different] zones were important, but the human factor more important. In fact, it was crucial in '08," he said. "You could have a good Brunello at end of September, but if you waited, you could have something more." Overall, the growing season benefited from good weather in late September and early October. Many had harvested by mid-October; Lisini waited until the third week of October. Romitorio picked late, beginning Oct. 15, finishing in early November. Approaches to winemaking varied as much as harvest dates. My two favorites of the non-blind tasting, both rating classic (95-100 points on Wine Spectator's 100-point scale), Barbi's Vigna del Fiore and the Poggio di Sotto Riserva, were the bookends in style. Barbi works as reductively as possible, protecting the must and aging wines from oxygen, working to keep the volatile acidity low, a factor owner Colombini feels gives the wine longevity. The Poggio di Sotto Riserva was made by Piero Fanucci and blended by the late Giulio Gambelli, prior to the sale of the estate in 2011 to Claudio Tipa. Current winemaker Luca Marrone continues to make the wines in a similar manner, working more oxidatively and with higher levels of volatile acidity, which he feels preserves the terroir. The Barbi Vigna del Fiore features a perfumed bouquet of truffle, woods and sweet cherry and berry fruit matched to an elegant profile with intensity and fine length. The Poggio di Sotto Riserva offers loads of sweet fruit, aligned with a salty, mineral element, supple texture and terrific balance and finish. Flirting with classic were the Lisini, with its macerated cherry, sweet ripe fruit, tobacco and mineral flavors, and the Casanova di Neri Tenuta Nuova, offsetting its rich cherry note with spice, leather and woodsy accents. All the other wines were outstanding, showing different characteristics, but my takeaway from the tasting is that 2008 is a vintage that is charming and harmonious, with ripe, sweet fruit and integrated tannins. A few of the wines are capable of aging longer, but for the most part, this is a vintage to enjoy now. 2007 and 2008 were very overlooked vintages - at least early on - for Brunello. I think I could say the same about many of my 2005's as well. So really, the only "off" vintage I can think of dating back to 2004 would be 2011 - where the Rosso from the better producers actually out-drinks the Brunello. And I think this is also true for the 2015's.